1933 Germany Welfare Fund 'NOTHILFE' Miniature Sheet - Enfield Stamp Company Ltd.
View basket “1933 Germany Welfare Fund ‘NOTHILFE’ Miniature Sheet” has been added to your basket. 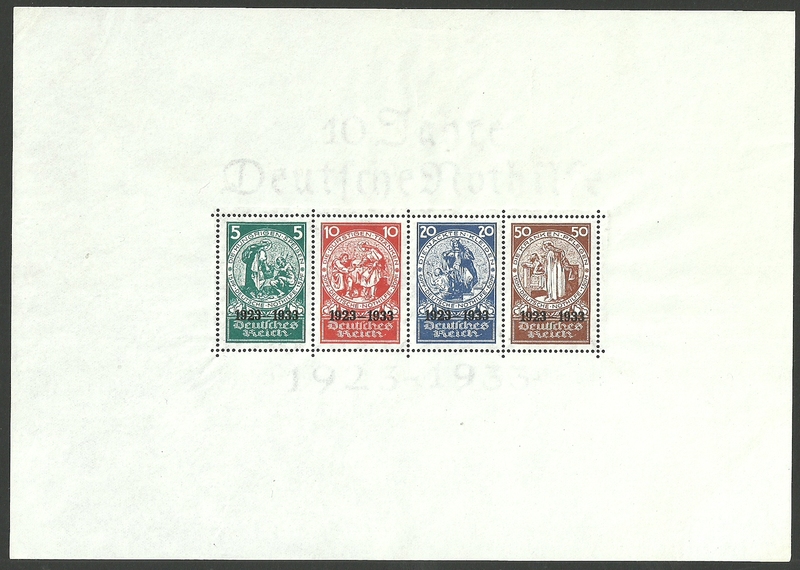 Germany 1933 Welfare Fund, ‘NOTHILFE’ miniature sheet. UM., perfect in all respects, EXTREMELY FINE.